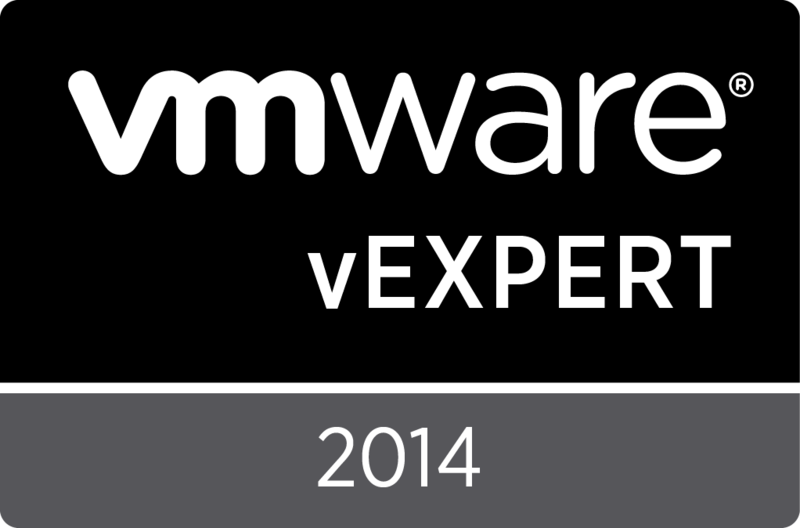 2014 Launch Post 1: Software Defined Coolness: VPLEX Virtual Edition!! This is the first in a series of posts to walk through what was launched / delivered. Data center infrastructure is undergoing a massive shift. Virtualization in the data center has had a profound impact on customer expectations of flexibility and agility. Especially as customers get to 70+% virtualized, they have the potential to realize tremendous operational savings by consolidating management in their virtualization framework. In this state, customers typically do not want to deploy physical appliances and want everything handled from their virtualization context. Similar changes in networking and storage have meant that the basic infrastructure is now completely in software running on generic hardware. This is the software defined data center. VPLEX has been no stranger to this conversation. Especially given the very strong affinity of VPLEX to VMware use-cases, customers have been asking us for a software only version of VPLEX. That is precisely what we have done. This past week, we launched VPLEX Virtual Edition – with a GA towards the end of Q2. What is the VPLEX Virtual Edition and what does it do? The VPLEX Virtual Edition (VPLEX/VE) is a vApp version of VPLEX designed to run on an ESX Server Environment to provide continuous availability and mobility within and across data centers. We expect this to be the first in a series of virtual offerings. In comparison to the appliance, all the VPLEX directors are converted into vDirectors. For the first release, the configuration we support is called the ‘4×4’ – this will support four vDirectors on each side of a VPLEX Metro. From a configuration standpoint, that is the equivalent of two VPLEX engines on each side of a VPLEX Metro cluster. Each side of VPLEX/VE can be deployed within or across data centers up to 5 msec apart. 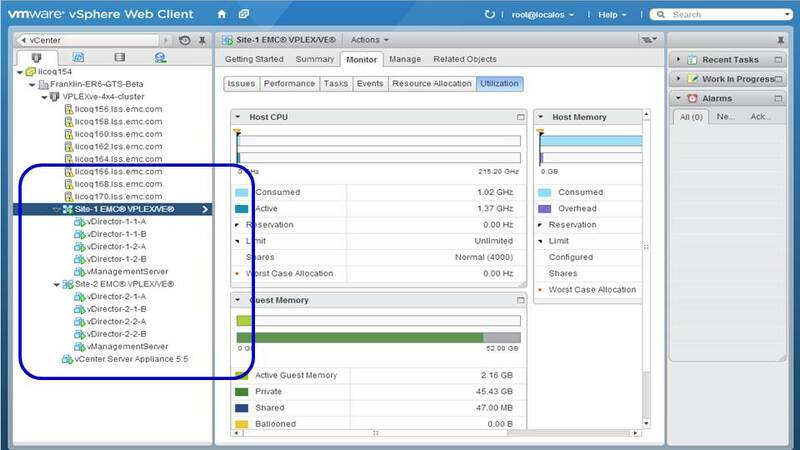 From a performance perspective, VPLEX/VE is targeted up to a 100K IOPS workload. Obviously, the true performance will depend on your workload. The deployment is designed to be customer installable from the get go. 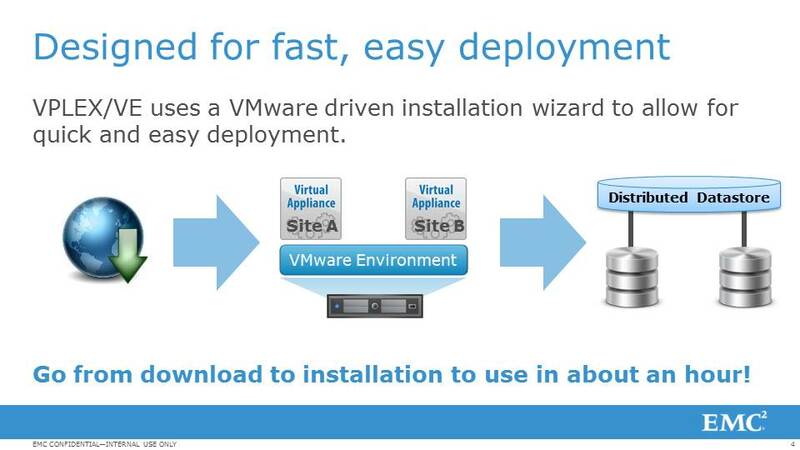 There is an installation wizard that guides you all the way through the installation. When GAd, please refer to the release notes to determine what kind of ESX Servers are supported for VPLEX/VE. The vDirectors need to be loaded onto separate ESX Servers such that no two vDirectors are deployed on the same ESX server. This is done so as to give the system maximum availability. 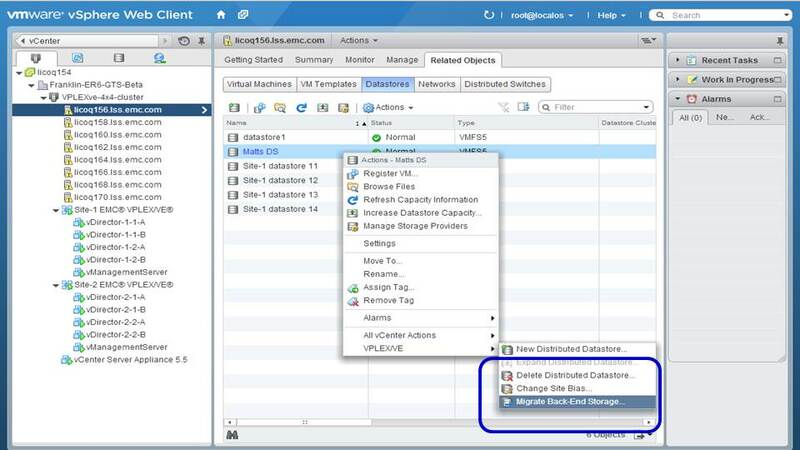 Running application VMs on the same ESX server as that running the vDirector is supported. This means that you should be able to use your existing ESX servers (subject to the minimum requirement that will be established for the vDirectors). 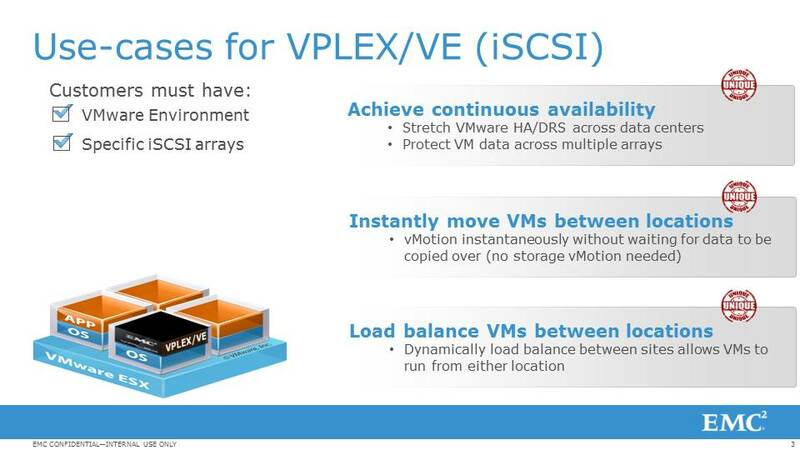 The way that an I/O will flow is from the application VM (via iSCSI) to the VPLEX/VE vDirector VM and from there to the iSCSI array connected to VPLEX/VE. Speaking of which, right out of the chute, we support VNXe arrays. We will add other iSCSI arrays over time. One of the more interesting changes that we have made with VPLEX/VE is the way that it is managed. Since VPLEX/VE is tailored for ESX servers only, our management interface to VPLEX/VE is completely through the vSphere Web Client. Here are some screenshots of how VPLEX/VE management looks. The coolest part for me is that you can go from creating your VMs, setting up an HA cluster, all the way to creating a distributed volume all within the vSphere Web Client. _VERY_ nifty! In addition, we have now enabled VPLEX/VE events and alarms to show up in the vCenter Event Viewer. For all practical purposes, this is a seamless vApp designed for your vSphere environments. 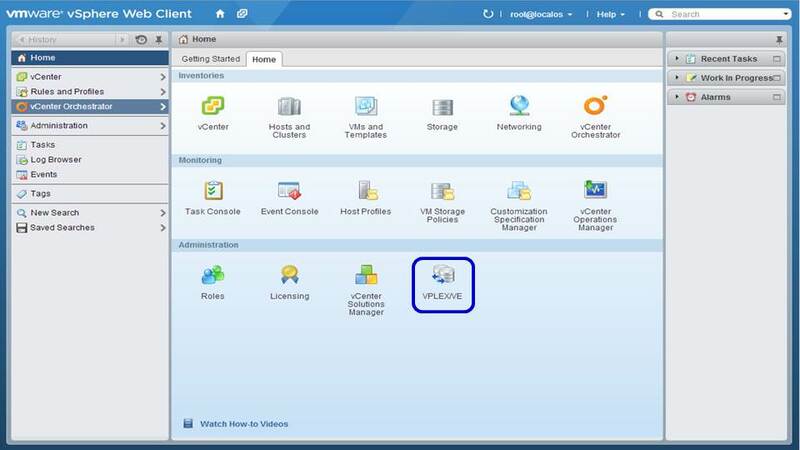 When a distributed volume is provisioned for VPLEX/VE, it is configured as a vmfs 5 volume and made available as a resource to vCenter. With VPLEX/VE, we have had the opportunity to do a lot of things differently. One of our guiding principles was to not think of it as a storage product but rather to think of it as a product designed for VMware environments and targeted to an ESX Administrator. Naturally, I cannot wait to see this get into our customers hands and to see whether we have hit our marks and what adjustments are needed. Equally importantly, this is a strategic imperative within EMC. You can expect to see a lot more of our product portfolio embarking on the software defined journey. There are a lot of intersects within the portfolio that we have only begun to explore (HINT: Composing software is a lot easier than composing hardware!). Is VPLEX/VE available right now? A: VPLEX/VE will GA towards the end of Q2. Will VPLEX/VE support non-EMC arrays? Will I be able to connect VMs from ESX clusters that are not within the same cluster as the one hosting VPLEX/VE? Will I be able to connect non-VMware ESX hosts to VPLEX/VE? Can I connect VPLEX/VE with VPLEX? A: VPLEX/VE is deployed as a Metro equivalent platform (i.e. both sides). Connecting to VPLEX is not supported. If there are interesting use-cases of this ilk, we would love to hear from you. Please use the comments section below and we can get in touch with you. Is VPLEX/VE supported with ViPR? A: At GA, ViPR will not support VPLEX/VE. Both the ViPR and VPLEX/VE teams are actively looking at this. Does VPLEX/VE support deployment configurations other than a 4×4? A: Currently, 4×4 is the only allowed deployment configuration. Over time, we expect to support additional configurations primarily driven by additional customer demand. 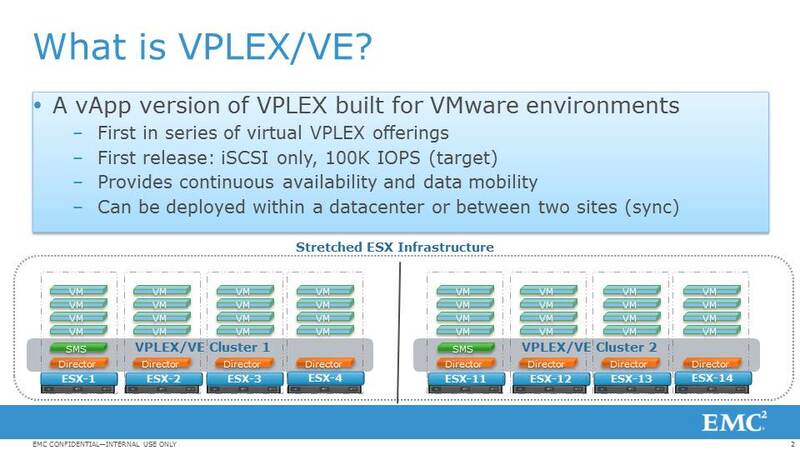 Will VPLEX/VE be qualified under vMSC (vSphere Metro Storage Cluster)?